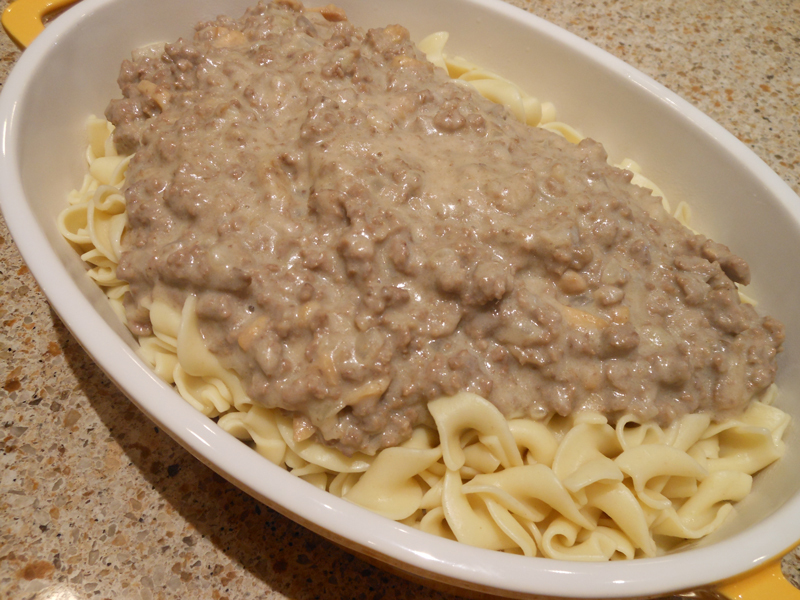 Cook ground beef and onion in a large skillet until meat is browned, stirring to crumble meat; drain. Stir in flour and next 3 ingredients; cook and stir 1 minute. Stir in soup. Simmer 10 minutes, stirring occasionally. Add sour cream, and heat thoroughly. Serve over noodles. Note: If you think the stroganoff is too thick, thin it with 1/8 to 1/4 cup beef broth. Tried this one. Very simple and tasty except a little dry. May add a little milk next time.